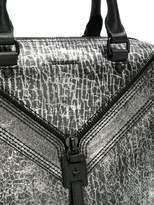 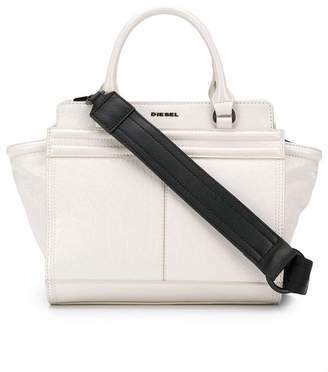 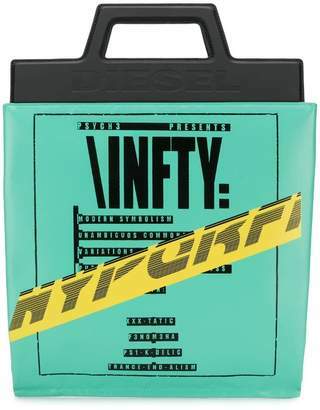 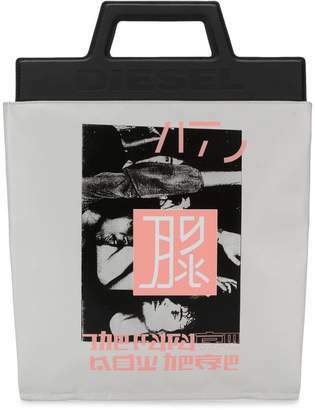 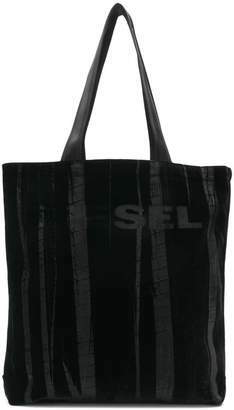 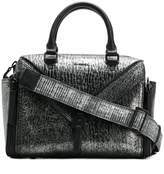 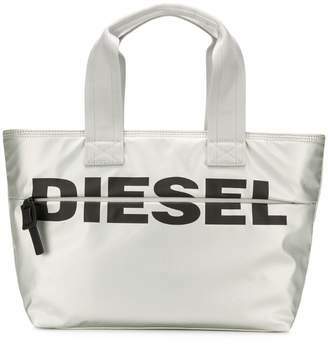 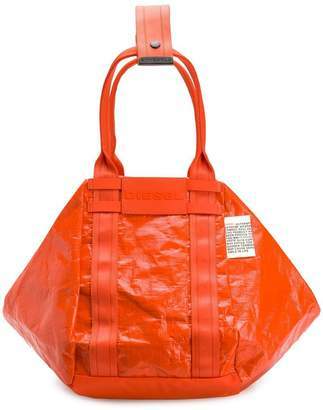 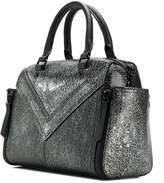 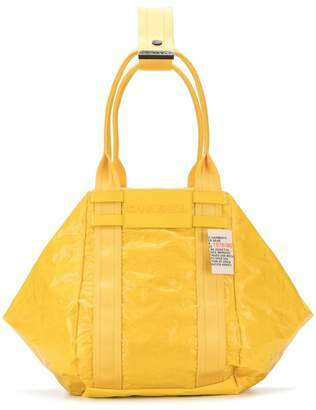 This LE-Trasy tote bag from Diesel is crafted from crackle leather with a high-shine laminated finish. 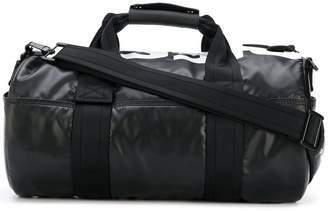 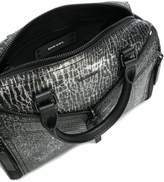 It also features a detachable and adjustable shoulder strap, top handles, a top zip fastening, a main internal compartment, an internal zipped pocket and an internal logo patch. The V-shaped zip detail and long zipper pullers nod to Diesel's biker and sporty DNA.